The most professional and trusted yacht brokerage service, Pinnacle Yacht Sales in Corfu is the small company with the big reputation! For more than fourteen years we have been, and continue to be, the foremost yacht broker for boats and yachts for sale in Corfu. With unwavering commitment, we have built an enviable reputation for providing an unrivalled yacht brokerage service. The comments below are of the utmost importance to us as they are from some of our recent clients - both buyers and sellers who have experienced our service - and in their own words are a testament to the success and quality of the independent yacht brokerage service we offer. "My wife and I, first time buyers, have just purchased our yacht through Pinnacle Yachts Sales and would like to take the opportunity of sincerely thanking Colin for superb communications and advice. The whole buying process from start to finish was made simple due to the support and professionalism received. From initial contact through to completion, Pinnacle Yachts went beyond the call of duty on numerous occasions. They had a genuine interest of both the seller and buyer and managed to strike a brilliant balance between the two parties. I have dealt with other Yacht Brokers in the past and am very much aware not all brokers offer the same level of commitment, care and service that Pinnacle Yacht Sales do. I therefore feel it more than appropriate to recommend Pinnacle Yacht Sales to potential clients. Our sincere thanks once again." "We have bought two boats through Pinnacle Yachts to date, and Colin was immensely helpful in identifying what would meet our needs given our lack of experience. He is incredibly knowledgeable and generous in sharing this with us. I would not hesitate to buy/sell through him again." "We’ve just purchased a yacht and cannot thank Colin enough for his excellent communications, flexibility in viewings, guidance, attention to detail, integrity and patience. From a buyer’s perspective, Colin’s service has been second to none. We’re very pleased to have found Pinnacle Yachts. We’re taking a year off to sail around Greece, and the tricky decision as to which boat to buy has been made with far greater confidence with Colin’s involvement. This is in sharp contrast to another broker who failed to respond to three enquiries about another boat in Greece – the sellers using that broker will be unaware that potential sales are being lost. Couldn’t be happier and if we trade up in the future we’ll both sell and buy through Pinnacle without hesitation!" "We have just completed the purchase of our first yacht. Understandably we were nervous but Colin, from Pinnacle Yachts, guided us through the process with patience, understanding and at times a sense of humour. He made the purchase a pleasurable experience and is still available to offer advice on various issues. His knowledge of the Island and local professionals has been invaluable to us. We would not hesitate to recommend his brokerage services whether buying or selling a yacht and we would definitely use his services again should the need arise." "We wanted to put on record our thanks and appreciation to Colin and Sue of Pinnacle Yachts. We have never owned a boat abroad before and so were a little nervous about buying in Corfu. From the moment we met them we were totally at ease. Colin spent two days with us showing us boat after boat, no pressure selling or smarmy sales, just great company. We had quite a strict budget so it was not an easy task. He eventually sourced a yacht that wasn't even on the market, and subsequently made the whole buying process an absolute doddle, there is no other word for it. If we ever upgrade we would not even consider buying or selling through another broker, says it all really. Thanks again." "Selling our boat through Pinnacle Yachts was very straightforward. Colin clearly looked after the needs of both buyer and seller alike, and in our case, ultimately arrived at a fair price for both parties and dealt with the administrative paperwork very efficiently. I'm delighted to have chosen Pinnacle Yachts to sell our boat and would recommend their brokerage services to others." "A few months ago my wife and I had the great fortune of listing our motor yacht with Pinnacle Yacht Sales. The professionalism, hard work and dedication of their Gouvia marina team was beyond expectations and, we're sure, beyond the best performance of any other brokerage in that field. Anyone in the market for either buying or selling a boat would definitely be well-advised to contact Colin or Sue." "Having recently completed the purchase of our Beneteau with Pinnacle Yacht brokers we look back at a professional, efficient and most enjoyable experience. From the first contact through to completion Colin and Sue were extremely helpful, understanding and so well organised, even sorting out issues for us after the sale was completed. Their local knowledge is indispensable, wide-ranging and freely given. We wish them every success in the future." "Throughout the whole process of buying our first boat, Colin and Sue were professional, patient, and unbelievably helpful. They guided us through the hoops, gave us sage advice when we requested it, and turned what could have been a rather unnerving experience into a very exciting one. Even after we had purchased our boat, Colin and Sue continued to be of invaluable assistance in various ways, until we could get to Corfu to open her up for the season. I would not hesitate to highly recommend this company, and the exceptional personal service they provide." "When purchasing our very first yacht, we were slightly apprehensive about the whole process, especially as we were looking to buy in a foreign country. However, from the initial viewings, to the final purchase and beyond, Pinnacle Yacht Sales were excellent with a professional, knowledgeable and friendly service. I would not hesitate to recommended their brokerage services, or if the need arose, use them again." 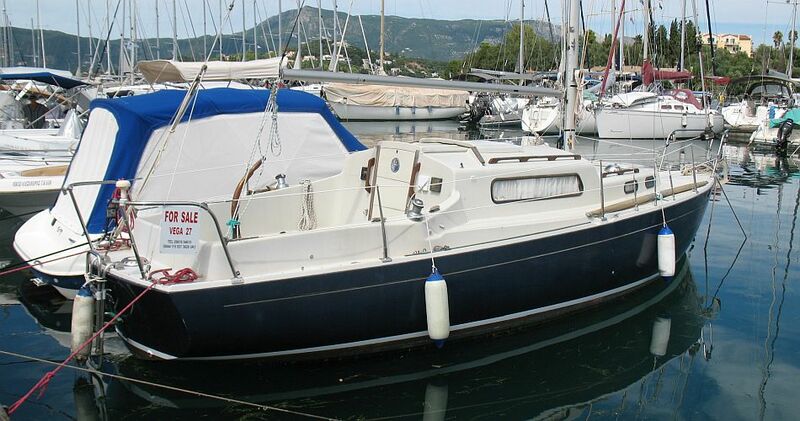 "I bought my Jeanneau Sun Odyssey 37 from Pinnacle Yachts in Corfu towards the end of the 2013 season. I have bought yachts previously ,but only in the UK, and so I was quite anxious about buying a used, Danish flagged boat, that was being kept ashore in a Corfu boat yard! I needn't have worried. Not only were Colin and Sue extremely friendly, helpful and very knowledgeable, but they gave me the complete confidence that all of the required paperwork and documentation was in order and accurate. They regularly kept me abreast of developments and timelines and ensured that both parties understood what was happening throughout the purchase. A very smooth process, very professionally managed and a service that I would use again and also highly recommend." "I would wish to place on record my appreciation for the way in which you handled this sale, from our first meeting, when you took the photographs for the brochure which displayed Calaban at her very best, through the updates you gave me from time to time, finally guiding me through the paperwork of the sales process itself, you displayed a deep professional knowledge with an ability to translate and simplify documents such that anyone, particularly myself, could complete and sign such documentation with confidence knowing that all had been done correctly." "I purchased a Malö 38 that Pinnacle had for sale. Colin and Sue were very professional in following the negotiation and sale which was very complicated because I live in Italy, the seller in England and the boat is in Greece! Not only, they followed the difficult practice to join the British Registry with great patience and precision! Finally I want to thank them for the warmth and kindness with which they have worked to answer my numerous and complex requests, sometimes even beyond their function. In short, I am very satisfied by the work of Pinnacle and this is an opportunity to say it to everyone and warmly advise their assistance." "I have bought and sold my last five yachts through Pinnacle. In all my dealings with Colin and Sue I have been impressed by their diligence, professionalism, hard work and friendliness. I have been happy to recommend them to a number of people who have since employed their services, all to a successful conclusion. My next boat will definitely be bought through Pinnacle." "We instructed Pinnacle Yacht Sales with regard to a sale which completed earlier this year and more recently a purchase. On both transactions the service was excellent and could not be faulted. We recommend them with confidence and would not hesitate to instruct them again. Colin and Sue could not have been more helpful and it was a pleasure dealing with them." "Colin and Sue knew exactly what I was looking for and matched me with the perfect yacht. Service was impeccable and friendly and carried out with true professionalism and integrity. I thoroughly recommend Pinnacle Yacht Sales." "Just a quick note to say how very pleased we are with the service we've received from Pinnacle Yachts brokerage, (Colin and Sue) this is our first boat purchase and it has been without any issues at all. They are always contactable and willing to help even on the smallest detail. We are very pleased with the service and would highly recommend them. Thanks again." "We were delighted by the service Colin from Pinnacle provided to us when buying “TimeOut” this spring. Everything from arranging my viewing including helping with my transport and accommodation, through to the after sale help with finding surveyors ( even assisting in the lift out to perform the survey) and engineers was done efficiently. If I ever plan to sell my boat I would go straight to Colin." "Both as a buyer in 2009 and seller in 2013, Pinnacle Yacht Sales made the process of buying/selling painless and a good experience. We are looking forward to when we will be buying a boat again, and Pinnacle Yacht Sales will for sure be our preferred broker at that time." "As very satisfied clients of Pinnacle Yachts we found Colin and Sue most helpful, friendly and efficient, our yacht was sold within weeks of going on the market. We would recommend them very highly." "Having purchased a Moody 31 from Pinnacle Yachts I am pleased to confirm that it was a very positive experience. Colin was very helpful, knowledgeable and fair to both buyer and seller in his role as broker throughout the process. I am now the new owner of the Moody 31 "Roula" and a very satisfied customer of Pinnacle Yacht Sales." "I have been delighted with the very thorough and professional service provided by Pinnacle. A buyer was found within days of placing our boat and completion followed on very speedily." "We recently contracted Pinnacle Yachts to sell our yacht in Corfu. We found Colin and Sue friendly, enthusiastic, professional and very knowledgeable on yachts and the market place, both in the Ionian and particularly Corfu. They were equally at home selling the newer more expensive type of craft or the older classic yacht. The quality of the website giving the description of the boat and the handling of the commercial aspects up to the final bill of sale could not be faulted. A good experience was had during a difficult period when we had to finally part with our boat after many years of cruising. We would recommend them to any of our many yachting friends." "I have bought three boats from Pinnacle Yacht company in different times. In pre-sales process, their services, their seriousness and trustworthiness in money transfer has been perfect. In aftersales process, I have also faced with a flawless services and their help in all matters I needed. I am really thankful to them." "Buying my yacht through Pinnacle was so easy. From the first viewing with Sue to the contract and completion everything was handled in a professional and friendly manner. Colin talked me through the process in a clear and simple way. When I finally took possession of the boat Colin and Sue were on hand to help." "I have bought and sold yachts using Pinnacle Yacht Sales in Corfu and found them to be a first class brokerage service. Colin and Sue provided a fantastic service. They gave great advice and lots of assistance to make sure the purchase and sale went through with a minimum of fuss and in short time frames. I am happy to recommend their services and will gladly use their brokerage again." "The service we received from Colin and Sue at Pinnacle Yachts was great and through them, our yacht sold fairly quickly. Their service was very professional but with a personal touch. We were kept informed and supported throughout the whole process. We highly recommend them to any potential buyer or seller." "We found our dream boat through Pinnacle Yacht Sales, and during the buying process Pinnacle turned out to be our dream yacht brokerage as well. Colin and Susan at Pinnacle were both very friendly and very accurate on everything in the sale process. We would recommend Pinnacle Yacht Brokerage to everyone who is thinking about buying a boat in the Corfu area, or in the Mediterranean." "Pinnacle Yachts sold our yacht in a very difficult time in the market, taking out the stress and strain when Corfu had an overabundance of yachts for sale. Service excellent, regular contact but one of the main items was sorting out documentation with a good personal touch. Would not hesitate to use their services again, and would be only too pleased to put our names forward as a reference." "Professional and serious attitude, and great experience in selling / buying sailboats - including very good knowledge about international rules/taxes etc. Myself I have sold and bought boats through him and I have been very satisfied through the whole process and warmly recommend him."